The local fashion industry is filled with fresh but relatively unreachable talent. This online store aims to give many fashion designers the opportunity to reach more local consumers. AVA.ph prefers to describe itself as "the home of beautiful things." With an online shop filled with hard-to-find local designer pieces, art, accessories, and other premium items, it's hard to find anything in the store that won't appeal to a woman's thirst for a bit of luxury. Now, what started off as a crowdfunded venture into online retail evolved to be so much more: a new venue for local designers to grow. Most Filipinos have probably heard of Rajo Laurel, Michael Cinco, Vania Romoff, and many other great Filipino designers who have already made their mark in the fashion industry. Oliver Segovia, founder of AVA.ph wants to give these established designers, and upcoming talents, a venue to reach a wider market through his online store. "AVA's evolved into a platform for empowering home grown designers [as]...most of their [the fashion designer's] money goes into physical stores and expensive advertising instead of the actual clothes," Segovia explains the issue his online shop wishes to address. After seeing the potential in bringing local fashion labels online, he and his team proceeded to makei designer collaborations. AVA.ph has thus far collaborated with well-established local designers such as Vania Romoff, Divine Lee, and Tweetie de Leon in forming AVA exclusive capsule collections. These online exclusives are beautifully unique designer pieces now made more accessible to the average woman through an online store. The question now is: what about quality? "We don't do fast fashion." Segovia gives emphasis on maintaining the product quality in designer goods that makes those valuable wardrobe pieces. Besides giving designer collections a place online, AVA.ph assists in other aspects as well. "We help designers with the nitty-gritty work-sourcing, production, e-commerce, and digital marketing so they can focus on doing what they love most: creating pieces women will love." 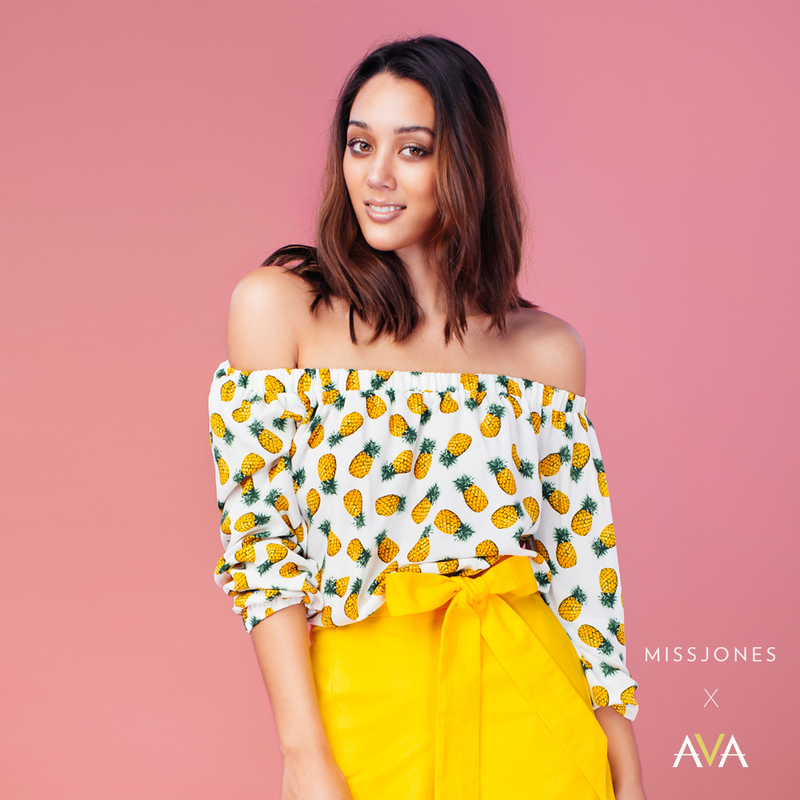 Continuing with AVA's collaboration trend, last March 28 & 29, AVA.ph, in collaboration with top fashion blogger Kim Jones launched the Miss Jones x AVA brand--her first capsule collection--at the Commercenter Alabang. Fans and followers of the celebrity have waited long for the blogger to release her very first capsule collection. After being in the Philippine online fashion scene for a long time, Kim found AVA's call to collaboration the perfect opportunity to do something she always wanted to do: design clothes. "Designing was always something that I wanted to do, but I was so focused on other things and it was more like a distant dream," she says. With the help of AVA and months of hard work, this dream is now a reality in the form of her quirky, yet feminine summer capsule collection. Kim's capsule collection will be exclusively available in AVA.ph.